Further to photo 20981 here is another photograph showing RWB 999. The photo was taken in May 2010 after a good clean and the addition of new wing mirrors. 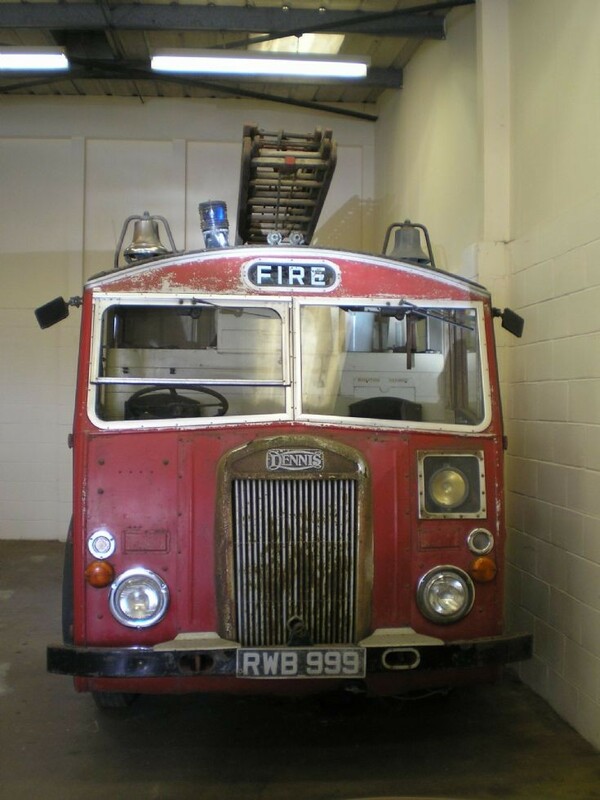 Very nicely illustrates a rather bizarre feature of this generation of Dennis fire engines. The steering column is offset about 100mm to the left of the center line of the driver's seat. Added by Rob Johnson on 05 March 2018.